As the number of Internet users continues to skyrocket, so does the importance of photonics, which contributes to building an infrastructure for the Internet. Laser diodes have the tremendous potential to expand photonics technology if their operating principles are applied to photonic devices such as optical filters and optical functional devices. By opening readers′ eyes to the incredible potential of laser diodes, this book inspires future development in photonics technology. 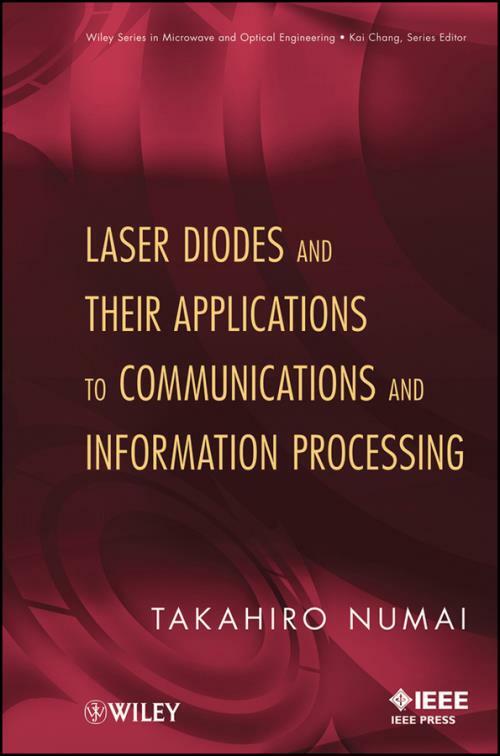 Laser Diodes and Their Applications to Communications and Information Processing can be utilized as an advanced undergraduate text or a graduate text. It is also extremely useful to researchers in the fields of physics and electronics, from those at the beginning of their careers to senior scientists. 6 Fabry Perot Laser Diodes. 8.4 Vertical Cavity Surface–Emitting LDs. 10 Phase–Controlled DFB Laser Diodes. 11 Phase–Shift–Controlled DFB Laser Diodes. 12 Phase–Controlled DFB Laser Filter. 14 Passive Phase–Shifted DFB Filter. 15 Two–Section Fabry Perot Filter. 16 Optical Functional Devices with pnpn–Junctions. 16.2 Edge–Emitting Optical Functional Device. 16.3 Surface–Emitting Optical Functional Device. 17.3 Wavelength– and Time–Division Hybrid Switching.